We have published a new paper in Nature Communications. 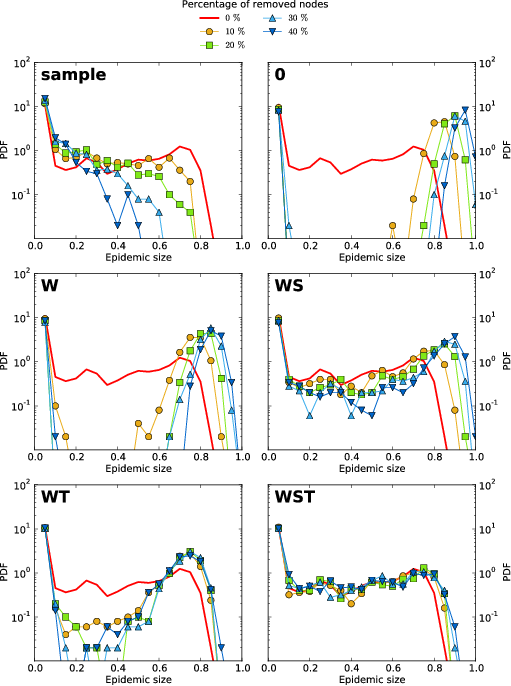 In this paper, we consider the issue of how to correctly inform numerical models of the propagation of infectious diseases when only partial information on the contacts of individuals is available, due to population sampling. Indeed, the coverage of the population in many measures of detailed contact networks is incomplete, and this yields a systematic underestimation of epidemic risk if the data is used without precaution. Here, we introduce a method to compensate for this systematic bias and obtain accurate evaluations of epidemic risk using incomplete data. To this aim, we have developed an algorithm that effectively fills in the gaps of the empirical data with a realistic picture of the missing contact network. Although the obtained surrogate contacts are different from the actual missing contacts, using them in the simulation of an influenza-like process gives an accurate estimation of what would have been obtained on using complete data. It is therefore possible to have a good estimation of the epidemic risk, even if a substantial fraction of the contacts are missing from the empirical data.